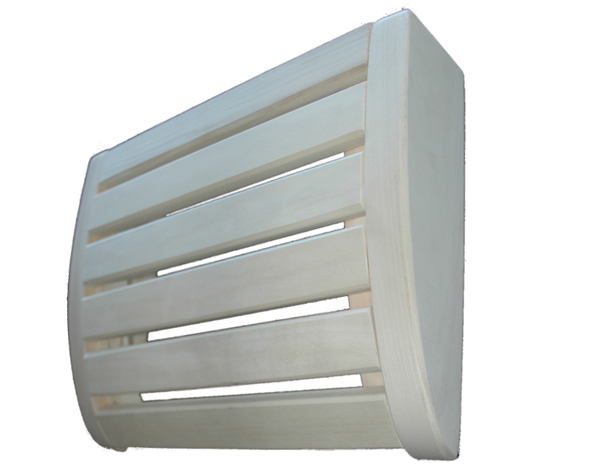 Headrest in selected Aspen, appx 360mm wide x 280mm deep, and 80mm high at the rear. It can be flipped around and placed against the wall for a comfy lumbar support too ! For any Sauna, comfortable and practical!